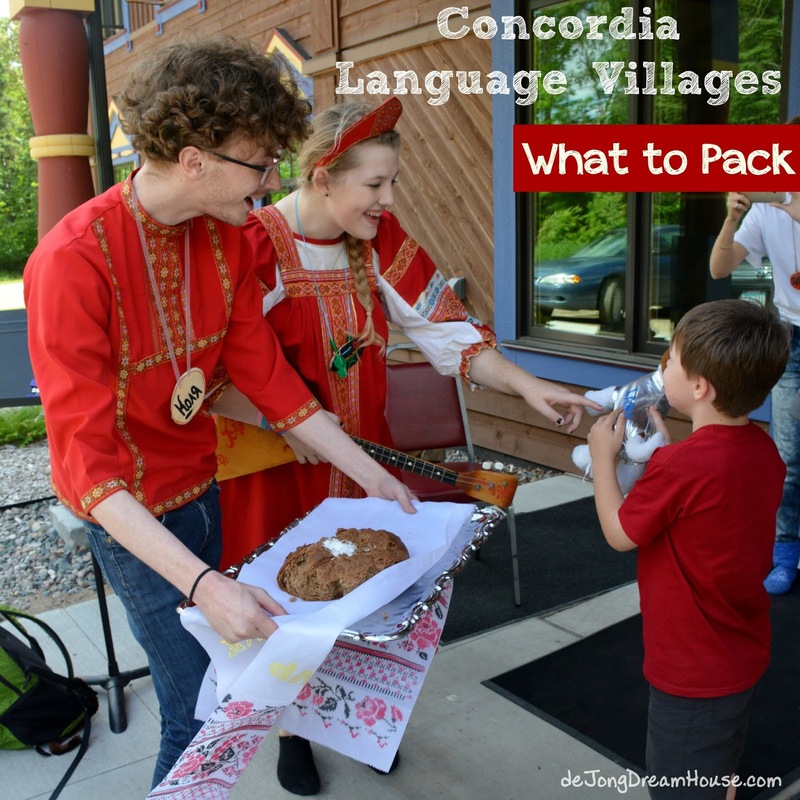 de Jong Dream House: Concordia Language Villages, part 2: Packing! Our family just returned from a week of Russian family camp in Bemidji, Minnesota. I can't stop talking about it, so I'm writing up a series of posts about the experience. In my previous post, I introduced readers to the wonder that is Concordia Language Villages. 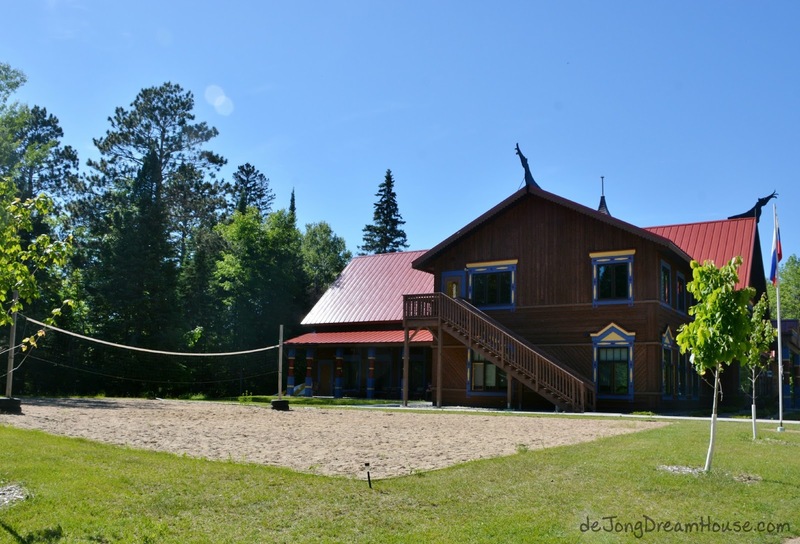 This post will cover everything you need to know before you head to camp. A few weeks before camp, we received a stack of papers, including a welcome letter, health survey, packing list, transportation reservations, and our passports! 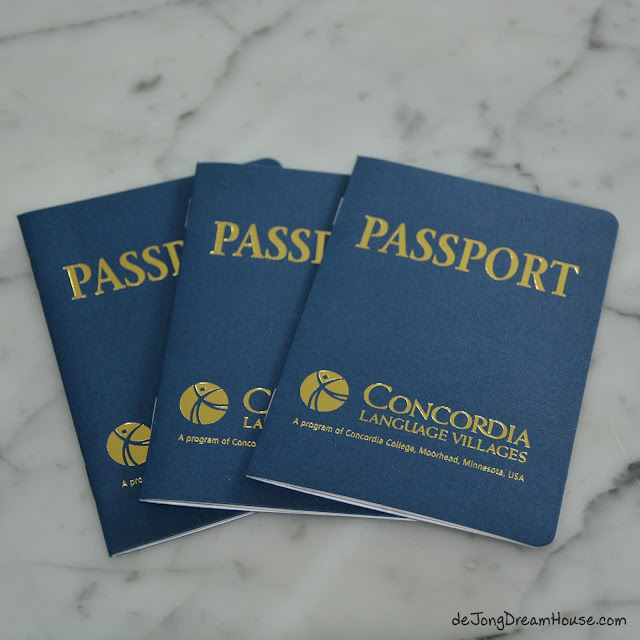 We are an international family, so passports are not new to us. But it was pretty exciting to have these arrive and realize that camp was coming up soon! Unlike real passports, we get to use happy, smiling photos of ourselves. Campers arrive from all over the world, so it's important that the transportation forms are filled out and returned three weeks before camp begins. You can drive yourself, or, for a fee, someone can meet you at either Minneapolis/St. Paul, MN, Bemidji, MN, or Fargo, ND airports. From there, you can take advantage of a chartered service to get to camp. Either way, you'll need to let the camp know how to expect you. The health forms are typical of forms you fill out for any other camps. For our family, we have two medical issues to work around. First, our son is allergic to dairy. This was our opportunity to let the camp staff know that he cannot have uncooked dairy. 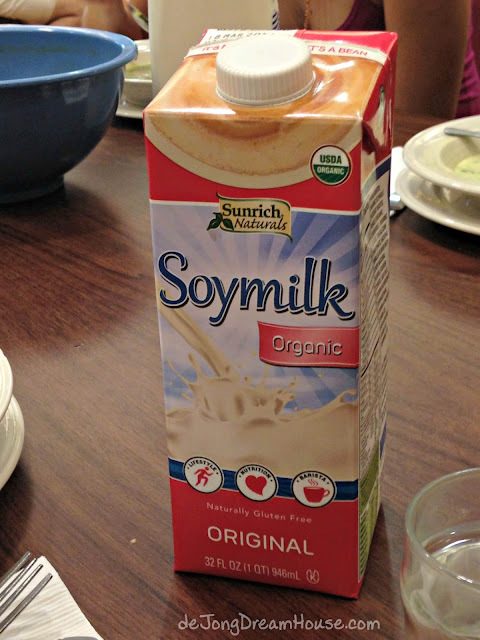 I called the health department and was happy to learn that soy and coconut milk would be available at every meal, and that dairy-free alternatives would be available when foods containing dairy were served. The main sacrifice I had to make going to camp as a person living with brain injury is that I wasn't able to participate in the afternoon cultural hours. After the morning language classes, my brain was full, so I turned тихий час (quiet hour) into quiet hours. I took a nap during the cabin time/quiet hour/activity time. However, I still had a fantastic time and would go back without hesitation. The packing list is laid out with checklists to help all campers--forgetful or not!--know what to bring, what to leave at home, and what to bring back from camp. As much as you can, try to bring things that can pull double duty, like convertible pants, for example. During our family camp, we shared a cabin with one other family. We had the upstairs two rooms with a bathroom to ourselves and the other family had the two rooms and bathroom downstairs. As it was, we didn't have much extra room. I can only imagine how much less space the regular campers have! Pack light and pack smart! We followed the packing list pretty closely, but would recommend two additions. First, in addition to buying the recommended 30% DEET insect repellent, we also brought Coleman Naturals Insect Repellent Snap Bands, Granted, we were at camp early in the season, but we didn't have a single bug bite the entire week! I liked being able to just slap on a bracelet instead of spraying all over. In fact, we never even used our spray. Secondly, because we had a 6-year-old, we highly recommend bringing a stick of stain remover! We had planned for each shirt to be worn twice, and each pant or short to be worn three times. While that worked great for Niels and I, it was a pretty lofty goal for our son! I tried to wash shirts and pants with dish soap in the kitchen sink of our cabin, but I suspect some of our son's clothes will have permanent reminders of camp. Something else to keep in mind while packing is that you should only bring what you are able to carry. We were told that we would need to be able to carry our own luggage. As it turned out, our luggage was brought up to our cabin, but this may be unique to Russian camp. Plan to be able to carry your own luggage. If you are flying, this is likely less of an issue because airlines limit what you can bring onboard already. Also, campers will go through customs, that is, the camp staff will check your bags for contraband--electronic devices, alcohol, tobacco, items in English--so pack smart and leave those things at home. 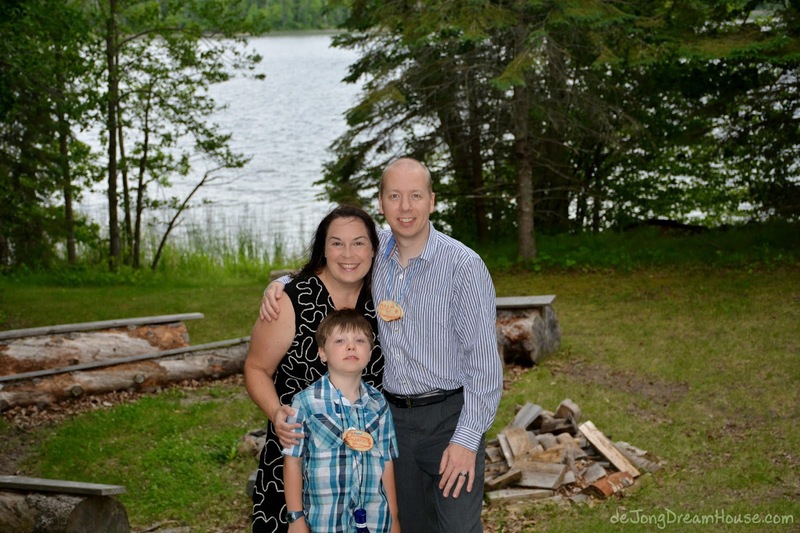 Of course, family camp is a different story. The staff recognized that for many parents, this is vacation, so we have a little more freedom. Some parents need to be available to their employers, so the camp staff requests that computers and phones are not used in sight of the regular campers. One way to simplify your bedroll is to roll up your twin sheets inside your sleeping bag. The bag may be too thick to use the straps attached to your bag, so use a belt to hold everything together. I'll talk more about the cabins in a future post, but keep in mind that while they are not air-conditioned, but fans are provided and the temperature does drop quite a bit at night. Our family was quite comfortable with each of us using a twin sheet and sleeping bag used as a blanket. 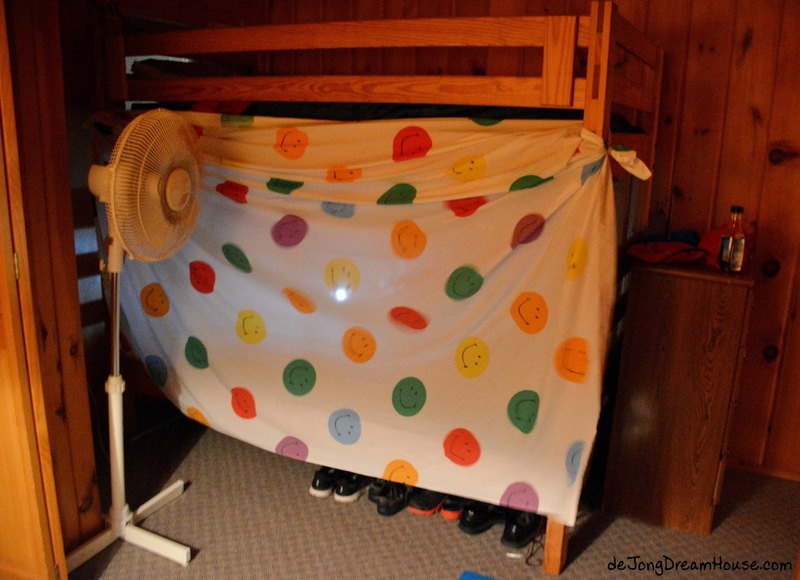 Well, actually our son only used his sleeping bag and fitted sheet because he used his flat sheet to make a secret fort for privacy. (It's secured with my ponytail holders). Shhhhh....you can't see him! When selecting your toiletries, Concordia requests that you bring items that are free of phosphates and other not-so-earth-friendly ingredients. We brought Burt's Bees shampoo, conditioner, and body wash and I was so pleasantly surprised with how they made my hair and body feel that I think we will keep on using them now that we are home. Don't forget to pack one dressy outfit for special night. At Russian camp, we celebrated New Year's with an incredible banquet. It was pretty fun to see everyone all dressed up after a very casual week! Finally, you'll want to bring some money. You won't need to buy anything while you are at camp, but each camp has its own store stocked with food, clothing, books, music, and other items that you won't be able to get at your local store at home. Any cash you bring will be converted into "local" money at the beginning of the week and used in the store. Our son had fun paying with rubles. At the end of the week, your money will get changed back into dollars...if you have anything left!